You can buy many products from Athos. 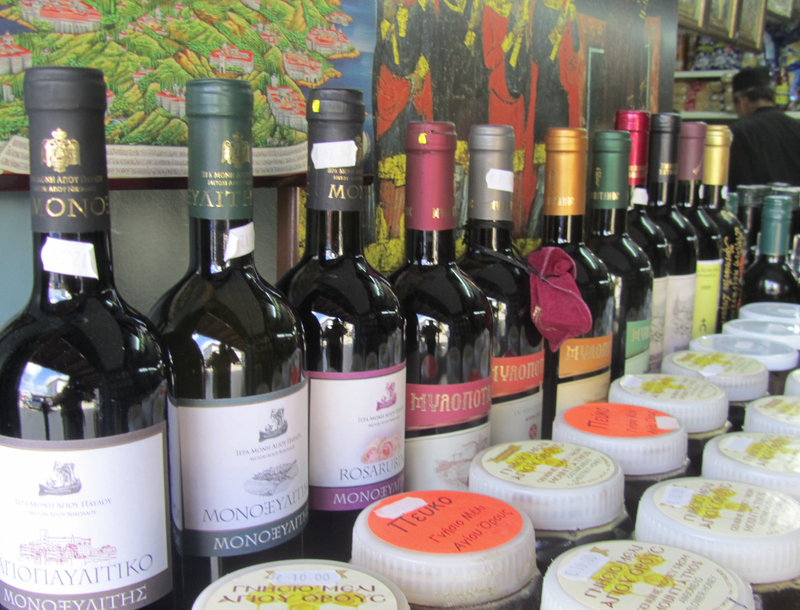 Monoxylitis wine, Mylopotamos wine, honey and olive oil. This is displayed in a shop in Dafni. 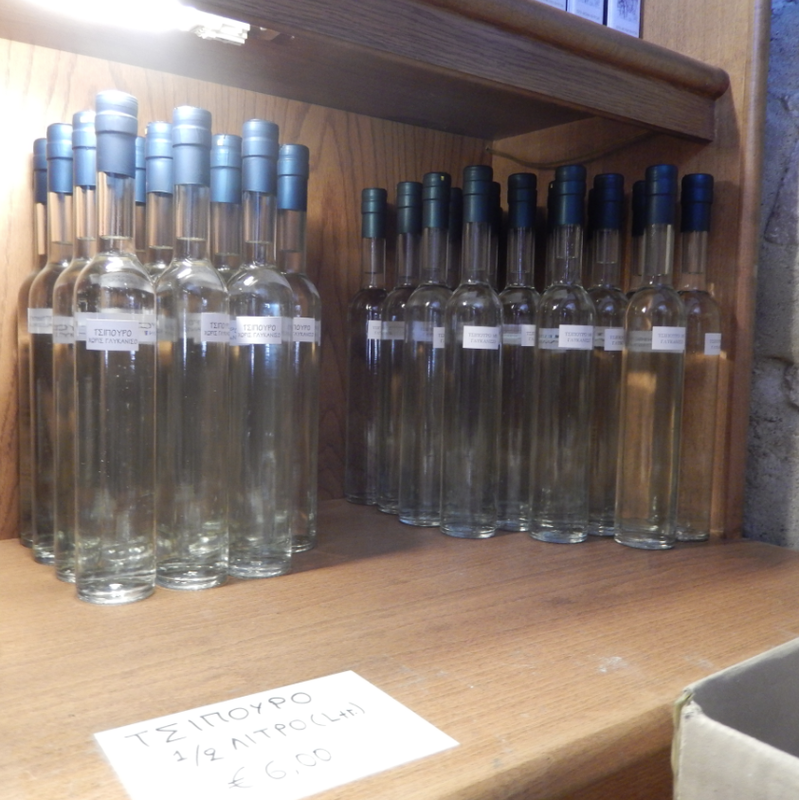 These are the homemade wines from the Iviron monastery. The process of wine making in Iviron in a serie of photo’s here. If the monastery makes wines then they also make Tsipourou. This is the Iviron Tsipourou for sale in the shop of the monastery. 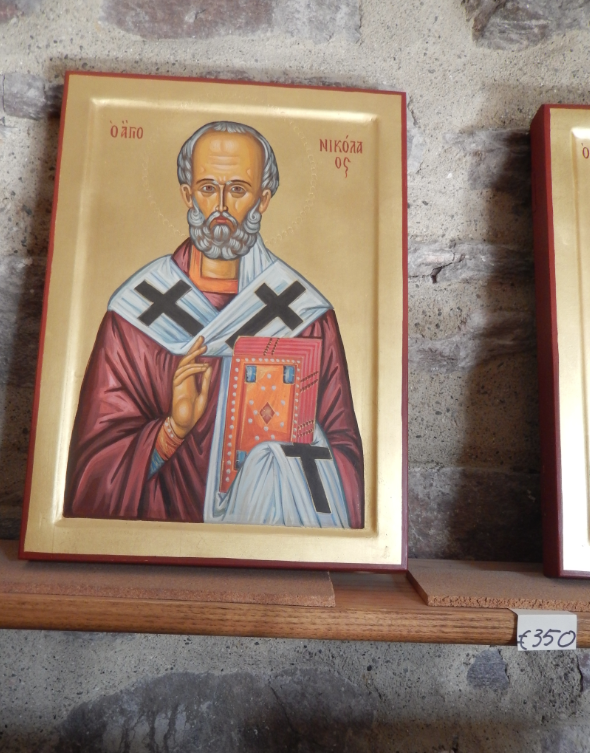 Freshly painted icon of St. Nicolas in the Iviron shop. 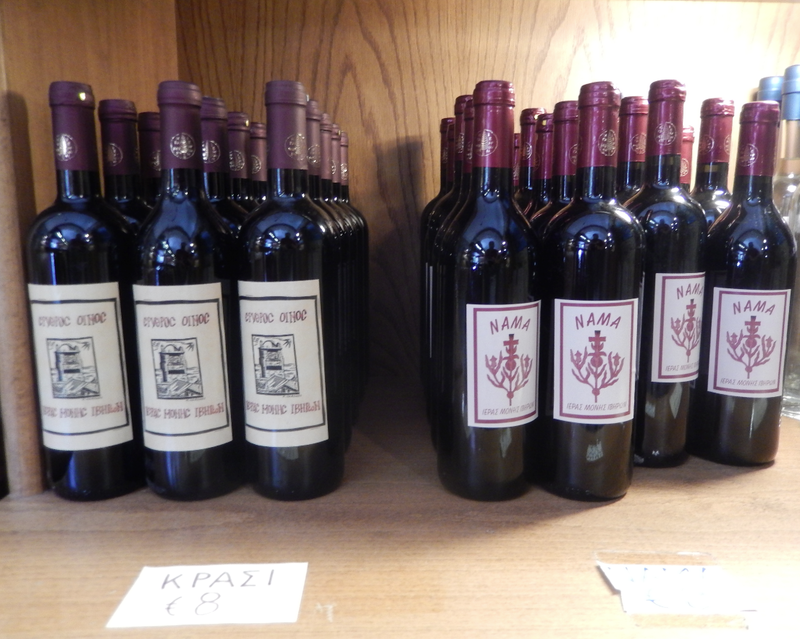 If you have forgotten to buy a Athos product then you can always buy a bottle on the airport of Thessaloniki: the famous Kormilitsa wine by Tsantali from grapes of the Russian metochi Chromitsa on Athos. Watch the label: the official wine of the Kremlin: Putin wine! This entry was posted in food and tagged Kormelitsa, tsantali, Tsipourou. Bookmark the permalink. 1385 - Χριστός ἀνέστη! Christos Anesti! Christ is Risen!